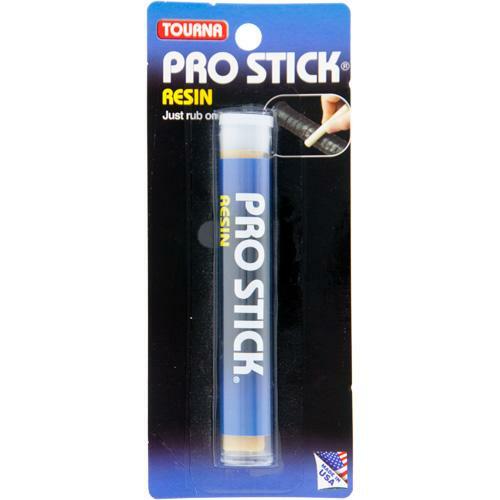 All you have to do to activate the benefits of the Tourna Pro Stick is to rub it on your racquet grip. The more you rub, the tackier the feel will become. The stick is so small and convenient; it fits right in your pocket. Use it for your tennis racquet grip, golf grip, baseball bat, gymnastics, football gloves, and more. Provides a firm, no-slip tacky grip. Safe on skin and odorless. Just use soap and water to clean.